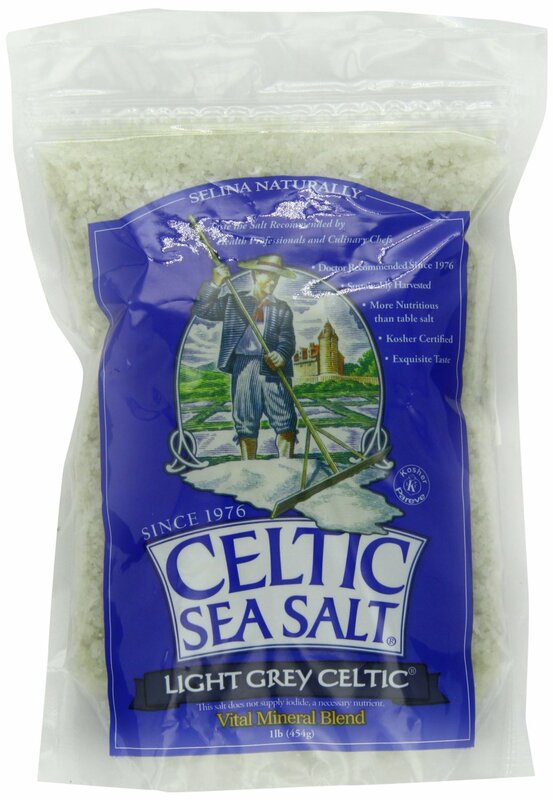 If you're wondering what type of salt to use for your Master Cleanse salt water flush, we recommend Celtic Sea Salt. With a flavour subtler than that of the coarser variety, Celtic Sea Salt is an all-purpose shaker salt convenient for use at the table, or in baking. Celtic Sea Salt® Brand Fine Ground is the perfect salt for the novice health buff, and is a great way to introduce friends and family to Celtic Sea Salt® Brand. A big part of The Master Cleanse is obviously the salt water flush. The Celtic Sea Salt is not only a great option as a main ingredient but it is also very well priced for the quality of product you are getting. Celtic Sea Salt Fine Ground is the same type of salt as their coarse Light Grey Celtic variety from the coastal region of France, only dried at a lower temperature then the finely ground variety. Celtic Sea Salt Fine Ground has no additives and is not processed in any way beyond drying and grinding. With a more subtle flavor than that of the coarser variety, it is an all-purpose shaker salt convenient for use at the table, in baking or most importantly for the cleanser on your list for the salt water flush. Celtic Sea Salt Fine Ground is kosher certified, hand harvested, and certified Nature et Progrès, the highest level of certification allowed in France. Celtic Sea Salt products never contain anti-caking agents, bleaching agents, or additives of any kind. 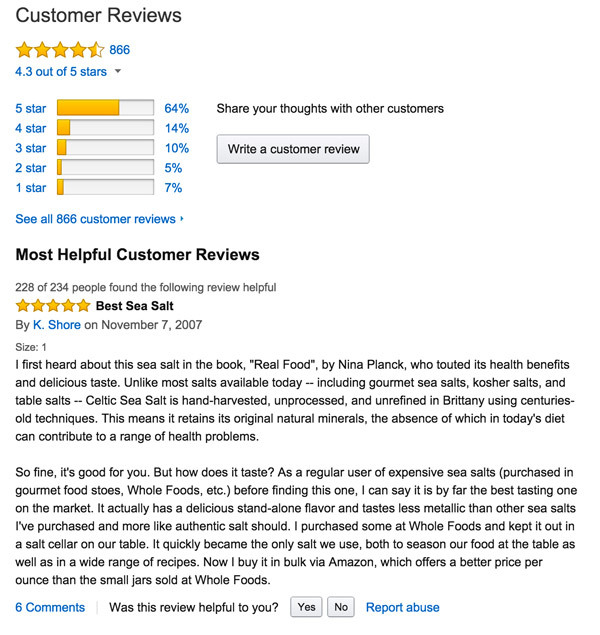 Celtic Sea Salt products are highly recommended by many health professionals and culinary chefs, and it is no surprise why. With a natural balance of minerals and trace elements, Celtic Sea Salt products are a beneficial addition to most diets in addition to being a great option for the salt water flush. As a natural salt, Celtic Sea Salt products are an important source of natural sodium chloride, which is vital for good health in small amounts. Unlike ordinary table salts, Celtic Sea Salt products provide potassium, magnesium and other important trace minerals. In order to preserve optimal freshness and taste, we and the people who make the sea salt, recommend storing Celtic Sea Salt products in a glass, wooden or ceramic container with a loose fitting lid. Celtic Sea Salt products are harvested in a way that preserves the delicate balance of ocean minerals. Take Advantage Of This Amazing Product! 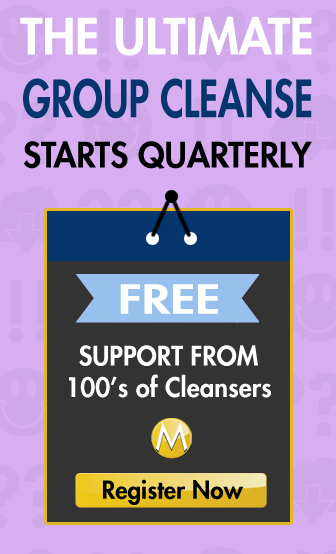 It is vital that you do the Salt Water Flush in the morning while doing The Master Cleanse to create a bowel movement and eliminate the toxins in your waste that is continually being eliminated during your cleanse. While there is no deal currently going on for the Celtic Sea Salt, paying just over $10 for 1 pound of the salt is a great deal in itself. Not only will you be able to do the salt water flush, but you will have plenty of sea salt left over to have a healthy seasoning even after completing The Master Cleanse. Make sure you don't used iodized table salt. NON-iodized sea salt is essential. The Salt Water Flush MUST be done on an empty stomach. Celtic Sea Salt® Brand Fine Ground is the same type of salt as our coarser Celtic Sea Salt Brand® Brand Light Grey Celtic® variety, dried at a low temperature, then finely ground. Celtic Sea Salt® Brand Fine Ground has no additives and is not processed in any way, beyond drying and grinding. Can I use Epsom salts for the Salt Water Flush? Some people are using epsom salts for the Salt Water Flush, and I would not recommend that. Here is why: using Epsom Salt for the SWF can be extremely abrasive to the colon, especially when used daily as recommended on the Master Cleanse. Sea salt is obtained from the evaporation of sea water. Epsom salt is obtained by chemical process. The major component of Epsom salt is magnesium. Sea salt contains 98.0 % NaCl (sodium-chloride) + 80 essential elements (2%). Epsom salts are typically used to relieve sore muscles by soaking in water that has Epsom salt added to it. It is helpful to take Epsom salts bath during the Master Cleanse as it as additional detox for the body and a great way to relax and release some stress at the end of the day. Important note! Epsom salts bath can be very dehydrating. 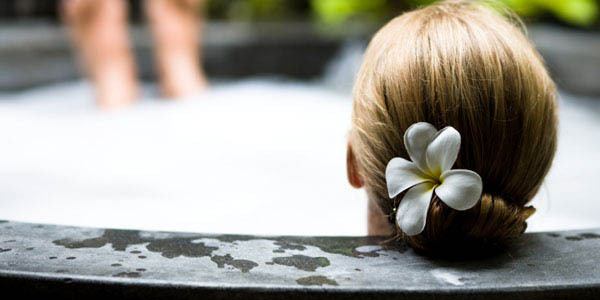 Make sure to drink some water before having the bath or sip some nice herbal tea as you relax taking the bath. That is my favourite. I also recommend to have a cold water shower after the bath to wash away the salty water and to rehydrate. Take it easy and happy cleansing everyone! This product is shipped through Amazon.com and directly from the supplier. This means you get to use all of Amazon.com's extra value services like 2 Day Free Shipping with Amazon Prime. Don't know what you're looking for? Don't know what you need? Amazon Staff are there to help. With their huge selection of products, they are consistently work toward maintaining competitive prices on everything they carry. With Amazon Prime and FREE Super Saver Shipping, you can shop with confidence at Amazon.com, and they strive to give you the best customer experience when shopping with them. Still undecided? Check out what other customers are buying through our bestsellers on the right side of your screen at the Computer Parts & Components Store. Select “Group my items into as few shipments as possible” as your shipping preference. Select Super Saver Shipping as your shipping speed. Your order will be delivered within 5-8 business days. Amazon Prime is a membership program that gives you and your family unlimited fast shipping, such as FREE Two-Day shipping and One-day shipping for $3.99 per item on all eligible purchases for an annual membership fee of $79. Amazon Prime members can enjoy instant videos: unlimited, commercial-free, instant streaming of 5,000 movies and TV shows through Amazon Instant Video at no additional cost. Eligible customers can try out a membership by starting a free trial. How do I sign up? You can visit the Amazon Prime sign-up page or accept our invitation to join Prime when you're ready to check out. We offer you consistently low prices on every item in our store. All prices are listed in U.S. dollars. TheMasterCleanse.org is the world's leading Master Cleanse related website and we have many amazing reasons to trust us and buy “through” us. We are a long established company because we always put the customer first. A customer-centered shopping experience has always been our goal and we pride ourselves in our comprehensive policies that have put us in a realm above and beyond our competitors. Shop with us today and see TheMasterCleanse.org experience. We partner with local, organic, and well established businesses to take pride in producing the highest quality products. When we don't sell the product direclty, we've partnered with Amazon.com so that you can get the lowest possible price and rock solid shipping and customer support optinos. Quality name brand organic and all natural products. You will love our products! All of our sourced products are made up of all natural organic ingredients. We are proud to say that anyone can read our ingredients without the use of a dictionary. Starting the Master Cleanse today. I brought my ingredients from the health food store to ensure healthy products. They have the Celtic Sea Salt in two sizes. Maple Syrup is quite expensive but since I will NOT be indulging in my regular outside street food. I will have save money anyway during this process. Ease-in day 1: Uhm, I have a sea salt, but it’s not a Celtic brand. Here’s a link of what I got: http://www.rougier.com/newEnglish/display_products.asp?sectionid=7&pid=46 — and I don’t know if this is ok to use. Also, what other kinds of laxatives you can recommend both my local stores don’t carry smooth move, or any other laxative teas I could use? Can I take laxative pills and if I could actually skip SWF? I have not started yet. I am trying to get all the ingredients together. Can pink himalayan salt be used in the swf. I have mediterrenian salt also so which would be better? Unrefined sea salt is best. Himalayan salt can probably work but sea salt is better. is regualr salt without iodine ok to use? Day 2 Ease-In. I would like to hear from folks about how they time the SWF and the laxative tea. Does anyone do them both at night? Or how about the SWF at night and the tea in the morning? Thoughts??? Thank you for the great information about the master cleanse and the SWF. My question is: Do I have to take the full 1 Liter of SWF? It’s really making me feel nauseous all day.. can I take half the quantity maintaining the density of the solution? I am in day 3 of the Lemonade diet. Itried the SWF yesterday, but my stomach sent it right back up theway it went down. My stomach empty so I’m not sure why it did that. Will adjusting the amount of salt help? I used 1 TBSP celtic salt to 1 liter of purified water. ANy thoughts onthis? Is all Celtic sea salt non idoized? Lemonade Diet Day 3 just came from the doctor and I’ve lost 11 pounds since starting (Fri – Mon). I have not started the salt water flush(i do intend to start). I”m TOTALLY excited! My family and friends doubted me, which gave me more of a determination to stay on. I will do the whole 10 days! how are u getting without the flush?